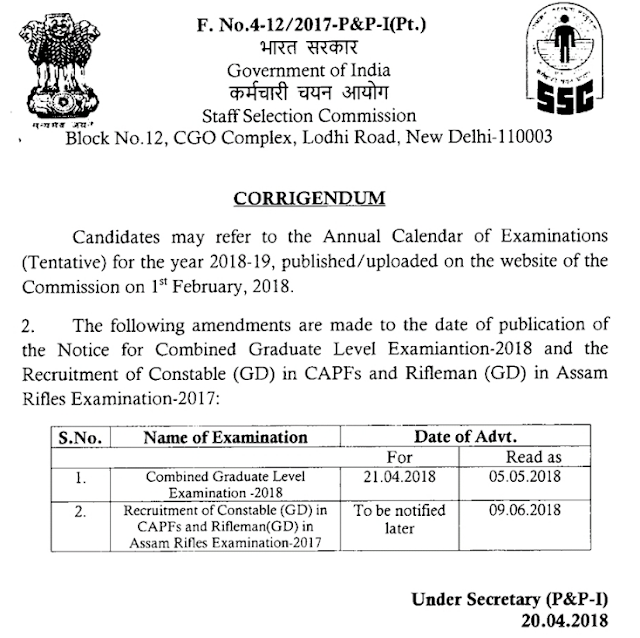 SSC CGL Notification date 2018 - As per annual calendar released by ssc, the expected notification / advertisement date for cgl 2018 was 21st April 2018, but as per new notice date is 05th may 2018. Everybody is waiting for ssc cgl 2018 notification, as per official annual calendare released by staff selection commission, expected date was : 21st April, but yesterday SSC release a notice regarding CGL notification date. check below ssc cgl notification details..